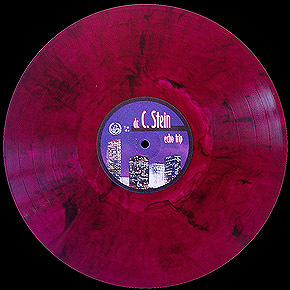 Dr. C. Stein, the man who truly mastered the synthesizer because he built one himself, is an artist of the legendary tape-label TRUMPETT, and was involved in several Dutch electro projects of the 80s such as THROMBOH, DOXA SINISTRA and especially ENDE SHNEAFLIET, from which he was an original member. 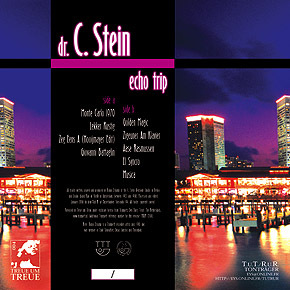 This selection of unreleased analogue tracks, all dating back to the years 1983-1988, is his first appearance on vinyl and TuT/RuR’s way to celebrate TRUMPETT’s 25th anniversary. 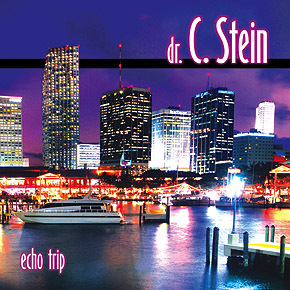 C. Stein’s crystalline music, cool and bright at the same time, will remind you of times long gone when pastels, Italian suits and studied casualness were hip. So close your eyes, picture yourself racing along the seashore in a white Testarossa on a soft summer evening and let the Doctor play for you.